Reactions that involve the transfer of electrons from one chemical species to another can be classified as oxidation–reduction (redox) reactions. The law of conservation of charge states that electrical charge can be neither created nor destroyed. Thus, an isolated loss or gain of electrons cannot occur; oxidation (loss of electrons) and reduction (gain of electrons) must occur simultaneously, resulting in an electron transfer called aredox reaction. An oxidizing agent causes another atom in a redox reaction to undergo oxidation and is itself reduced. A reducing agent causes the other atom to be reduced and is itself oxidized. There are various mnemonics to remember these terms, as highlighted in the sidebar. Redox reactions: choose one of the mnemonics and stick with it! · OIL RIG: Oxidation Is Loss of electrons, Reduction Is Gain of electrons. · LEO the lion says GER: Loss of Electrons is Oxidation, Gain of Electrons is Reduction. · LEORA says GEROA: Loss of Electrons is Oxidation (Reducing Agent), Gain of Electrons is Reduction (Oxidizing Agent). Being familiar with some common oxidizing and reducing agents can save significant time on Test Day, especially in organic chemistry reactions. Some of the commonly used agents on the MCAT are listed in Table 11.1. Note that almost all oxidizing agents contain oxygen or another strongly electronegative element (such as a halogen). Reducing agents often contain metal ions or hydrides (H–). * These oxidizing agents and reducing agents are commonly seen in organic chemistry reactions. ** These and other biochemical redox reagents often act as energy carriers in biochemistry reactions. Note that biochemical redox reagents such as NAD+ tend to act as both oxidizing and reducing agents at different times during metabolic pathways. As such, they act as mediators of energy transfer during many metabolic processes, as shown in Figure 11.1. On a technical level, the term oxidizing agent or reducing agent is applied specifically to the atom that loses or gains electrons, respectively. However, many science texts will describe the compound as a whole (CrO3, rather than Cr6+) as the oxidizing or reducing agent. It is important, of course, to know which atom is oxidized and which is reduced. Oxidation numbers are assigned to atoms in order to keep track of the redistribution of electrons during chemical reactions. Based on the oxidation numbers of the reactants and products, it is possible to determine how many electrons are gained or lost by each atom. In Chapter 3 of MCAT General Chemistry Review, we illustrated that metals form cations and nonmetals form anions. To form a cation, a metal must lose electrons. Therefore, metals like to get oxidized (lose electrons) and act as good reducing agents. Nonmetals, on the other hand, like to get reduced (gain electrons) and act as good oxidizing agents. 1. The oxidation number of a free element is zero. For example, the atoms in N2, P4, S8, and He all have oxidation numbers of zero. 2. The oxidation number for a monatomic ion is equal to the charge of the ion. For example, the oxidation numbers for Na+, Cu2+, Fe3+, Cl–, and N3– are +1, +2, +3, –1, and –3, respectively. 3. The oxidation number of each Group IA element in a compound is +1. 4. The oxidation number of each Group IIA element in a compound is +2. 5. The oxidation number of each Group VIIA element in a compound is –1, except when combined with an element of higher electronegativity. For example, in HCl, the oxidation number of Cl is –1; in HOCl, however, the oxidation number of Cl is +1. 6. The oxidation number of hydrogen is usually +1; however, its oxidation number is –1 in compounds with less electronegative elements (Groups IA and IIA). Hydrogen is +1 in HCl, but –1 in NaH. 7. In most compounds, the oxidation number of oxygen is –2. The two exceptions are peroxides (O22−), for which the charge on each oxygen is –1, and compounds with more electronegative elements, such as OF2, in which oxygen has a +2 charge. 8. The sum of the oxidation numbers of all the atoms present in a neutral compound is zero. The sum of the oxidation numbers of the atoms present in a polyatomic ion is equal to the charge of the ion. Thus, for (SO42−), the sum of the oxidation numbers must be –2. Think of the oxidation number as the typical charge of an element based on its group number, metallicity, and general location in the Periodic Table. The conventions of formula writing put cation first and anion second. Thus HCl implies H+, and NaH implies H–. Use the way the compound is written on the MCAT along with the Periodic Table to determine oxidation states. Don’t forget that you can click on “EXHIBIT” to pull up the Periodic Table on Test Day. Note the trends for assigning oxidation numbers; these general rules will help reduce the need to memorize individual oxidation numbers. Be aware that the transition metals can take on multiple oxidation states and therefore multiple oxidation numbers. Oxidation number is often confused with formal charge, discussed in Chapter 3 of MCAT General Chemistry Review. Both account for the perceived charge on an element, but do so in different ways. Oxidation number assumes unequal division of electrons in bonds, “awarding” the electrons to the more electronegative element. Formal charge, on the other hand, assumes equal division of electrons in bonds, “awarding” one electron to each atom in the bond. In reality, the distribution of electron density lies somewhere between these two extremes. The assigning of oxidation number can be seen in Figure 11.2. When assigning oxidation numbers, start with the known atoms (usually Group I and II, halides, and oxygen) and use this information to determine the oxidation states of the other atoms. Keep in mind that most transition metals can take on multiple oxidation states. When transition metals are oxidized or reduced, the absorption and emission of light from a metal is altered such that different frequencies are absorbed. For this reason, changes of oxidation state in transition metals usually correspond to a color change. Assign oxidation numbers to the atoms in the following reaction to determine the oxidizing and reducing agents. All of these species are neutral, so the oxidation numbers of each compound must add up to zero. In SnCl2, tin must have an oxidation number of +2 because there are two chlorines present and each chlorine has an oxidation number of –1. Similarly, the oxidation number of Sn in SnCl4 is +4; the oxidation number of Pb is +4 in PbCl4 and +2 in PbCl2. The oxidation number of Sn goes from +2 to +4; it loses electrons and thus is oxidized, making it the reducing agent. Because the oxidation number of Pb has decreased from +4 to +2, it gains electrons and is reduced, making it the oxidizing agent. The sum of the charges on both sides of the reaction is equal to zero, so charge has been conserved. Keep in mind that oxidation state also plays a role in nomenclature; the reactants in this reaction would be called tin(II) chloride and lead(IV) chloride. By assigning oxidation numbers to the reactants and products, one can determine how many moles of each species are required for conservation of charge and mass, which is necessary to balance the equation. To balance a redox reaction, both the net charge and the number of atoms must be equal on both sides of the equation. The most common method for balancing redox equations is the half-reaction method, also known as the ion–electron method, in which the equation is separated into two half-reactions—the oxidation part and the reduction part. Each half-reaction is balanced separately, and they are then added to give a balanced overall reaction. Oxidizing agents oxidize other molecules, but are themselves reduced. Reducing agents reduce other molecules, but are themselves oxidized. If you determine one ion to be an oxidizing agent then the other must be a reducing agent. What are the relevant half-reactions for the oxidation of iodide with permanganate, shown below? Step 1: Separate the two half-reactions. Step 2: Balance the atoms of each half-reaction. First, balance all atoms except H and O. Next, in an acidic solution, add H2O to balance the O atoms and then add H+ to balance the H atoms. In a basic solution, use OH– and H2O to balance the O and H atoms. Step 3: Balance the charges of each half-reaction. Add electrons as necessary to one side of the reaction so that the charges are equal on both sides. Step 4: Both half-reactions must have the same number of electrons so that they cancel each other out in the next step. In this example, you need to multiply the oxidation half-reaction by 5 and the reduction half-reaction by 2. Step 5: Add the half-reactions, canceling out terms that appear on both sides of the reaction arrow. Step 6: Confirm that mass and charge are balanced. 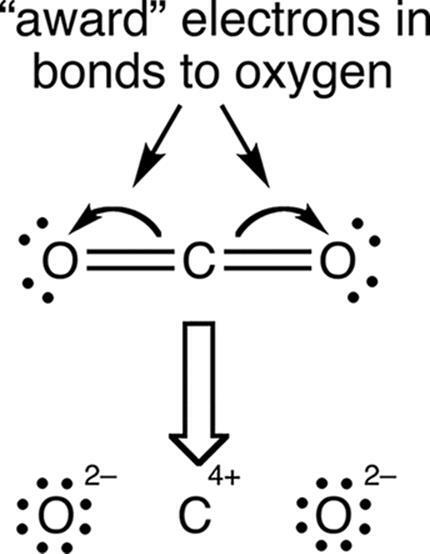 There is a +4 net charge on each side of the reaction equation, and the atoms are stoichiometrically balanced. Methodical, step-by-step approaches like the half-reaction method are great for the MCAT. Usually, you will not have to go through all of these steps before you can narrow down your answer choices and may be able to find the correct answer partway through the problem with a little critical thinking.